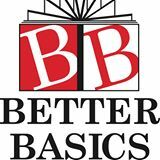 Better Basics – United Way of Central Alabama, Inc. Better Basics is working to eradicate childhood illiteracy and ultimately improve the quality of life in the communities we serve. We are empowering children, improving the community and reducing illiteracy. More than 16,000 children in kindergarten through eighth grade in 43 schools across central Alabama receive our programs. At Better Basics, our mission is to make a positive difference in the lives of children and their families by advancing literacy through enrichment and intervention programs. Better Basics provides literacy intervention and enrichment programs for elementary- and middle- school students throughout Alabama. Our programs empower our community’s youth, helping children learn to read, comprehend, retain and, ultimately, learn – increasing confidence levels, infusing literature into children’s homes and exposing kids to multi-cultural arts and enrichment programs. Almost 1,000 volunteers serve 25,000 children every year. Last year alone, Better Basics awarded almost 80,000 books.